Time for me to review this AMAZING product. If you’ve ever watched a British YouTuber’s videos or read a British blogger’s posts, then you’ll likely have heard them rave about the Collection Lasting Perfection concealer. Naturally, I needed to find out what the hype was about. Could this product be as good as they say? All I can say is that this is far and away the best concealer I have ever used! To be fair, I haven’t tried THAT many (and no high end ones). I feel that the coverage this concealer gives would be unrivaled by any other. Seriously, though, the bar has been set. This completely covers my dark circles (which are pretty dark) and any blemishes. It blends out like a dream (I use the EcoTools Buffing Concealer brush), and it doesn’t really crease throughout the day. I will say that it can slide off blemishes after a few hours, but I expect that to happen, so it isn’t something negative against this concealer. I only notice creasing under my eyes after a long day (12+ hours) of wear, which is incredible! I find the formula to be a little (a very, very little) drying but I think that comes with its long wear qualities. The only odd thing about this concealer is the color (and the fact that writing on the tube wears off so quickly). I am pretty fair-skinned, so I always opt for the lightest shade of concealer. However, I swatched the lightest shade before I bought it (how cool that you can swatch things in the drugstore over here?!) and it was SO pale, almost white. I’m not really sure that anyone could use that. I know that some people prefer lighter shades for highlighting purposes, but the full coverage nature of this concealer would make you look like you had a sunglasses tan line rather than a highlighted face. So, if by some miracle, you find this online, I would suggest ordering one shade darker than you usually would. 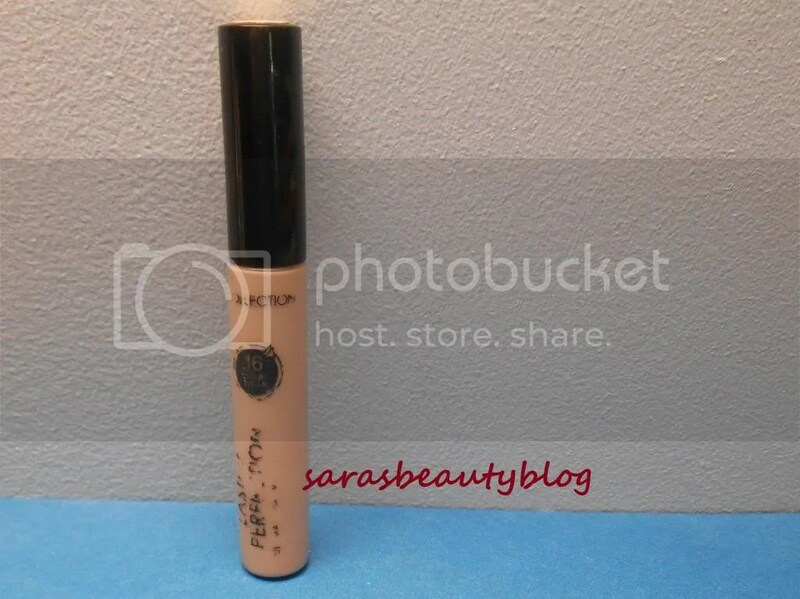 Overall, this is my new holy grail concealer, and I’m a little bummed about that. After I leave England, this won’t be readily available to me anymore. No fear though, I will start the hunt for the best US drugstore concealer upon my return! Hope you guys have a great weekend! What are you up to? I’m going to be doing some last minute traveling, and I’m pumped! I bought this product myself. I’m not getting paid for this post. All opinions are my own. This entry was posted in Concealer, Face, Makeup and tagged boots, collection, collection 2000, color, colour, concealer, drugstore, fair, holy grail, lasting perfection, light, packaging, photo, photos, review, reviews, superdrug, uk. Bookmark the permalink.